After a customer sells a car to us, a lot of the time they ask, “what do I do about getting a new car? Do you have recommendations on where to go?”. Typically after that question gets asked, we want to get more specific and see what kind of car they were thinking about. Although many of our customers start asking about vehicles that range anywhere from Hondas and Toyotas to Mercedes-Benz and BMW, we’ve yet to come across a customer asking our opinion on a $2.7M Pagani Huayra. 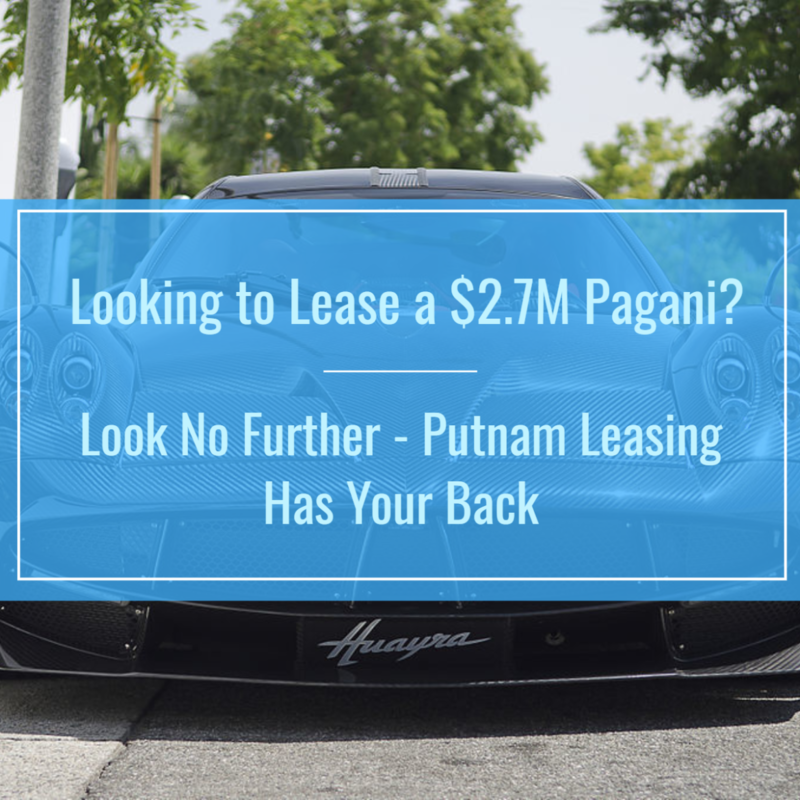 While car makers of that caliber typically require their customers (who can even get their hands on these limited run cars) to purchase the vehicle outright, a company by the name of Putnam Leasing is now offering their Pagani Huayra up for a low, low down payment of $700,000 and monthly payment of just $25, 339 a month for 60 months (which equals just a little over $2.2M). While many individuals have the advantage of writing off their car as a business expense, it’ll be interesting to hear the justification of writing one off worth more than most homes in America. Just when you thought that you need to purchase these limited-run cars outright, think again. If you’ve already sold us your car and are looking for a Pagani Huayra, look no further! Putnam Leasing has your back. They also specialize in leasing other very high end cars so we’re sure they’ll have one that fits your needs. Check them out here.